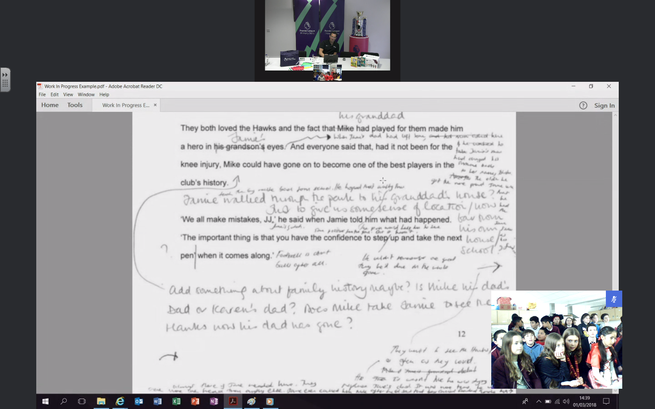 On World Book Day 2018 a group of Jeavons Wood pupils took part in an exclusive video chat with Dan Freedman, best-selling author and official England football team journalist. He shared tips and stories from his writing career and even showed pupils an edited page of his novel. Look at all the hard work he'd spent improving his writing! Very inspiring.